As of January 1, 2016, the total dairy animal population was 44,432 heads. This was 6.34 percent higher than last year’s headcount. Dairy cattle stocks grew by 8.95 percent. 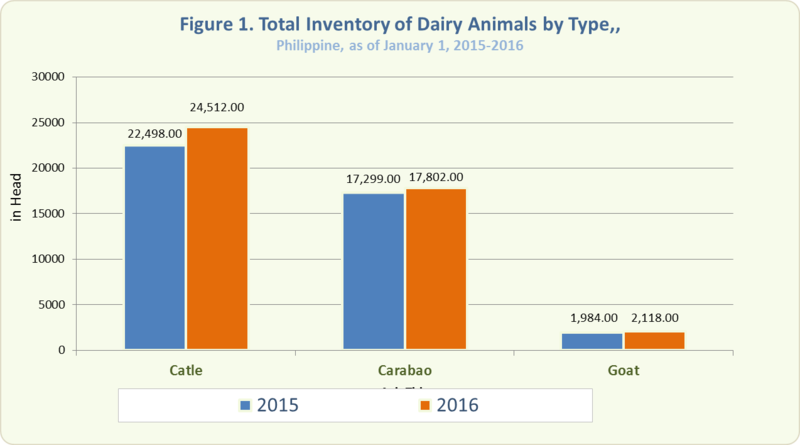 Dairy carabao and dairy goat population went up by 2.91 percent and 6.75 percent respectively.